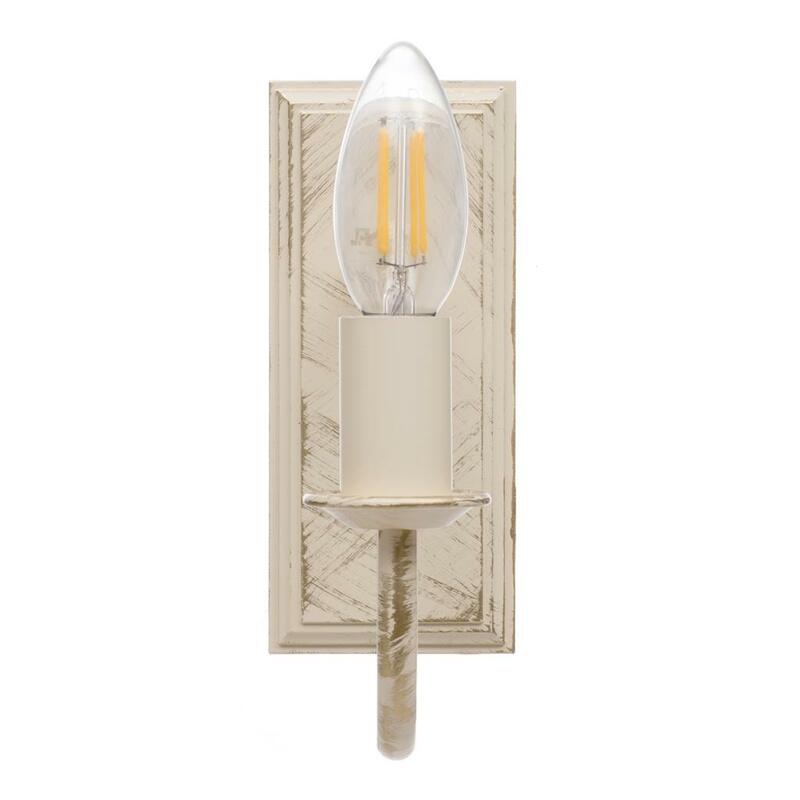 The single version of our Double Gosford, this wall light will bring a compact, handmade quality to your lighting scheme. 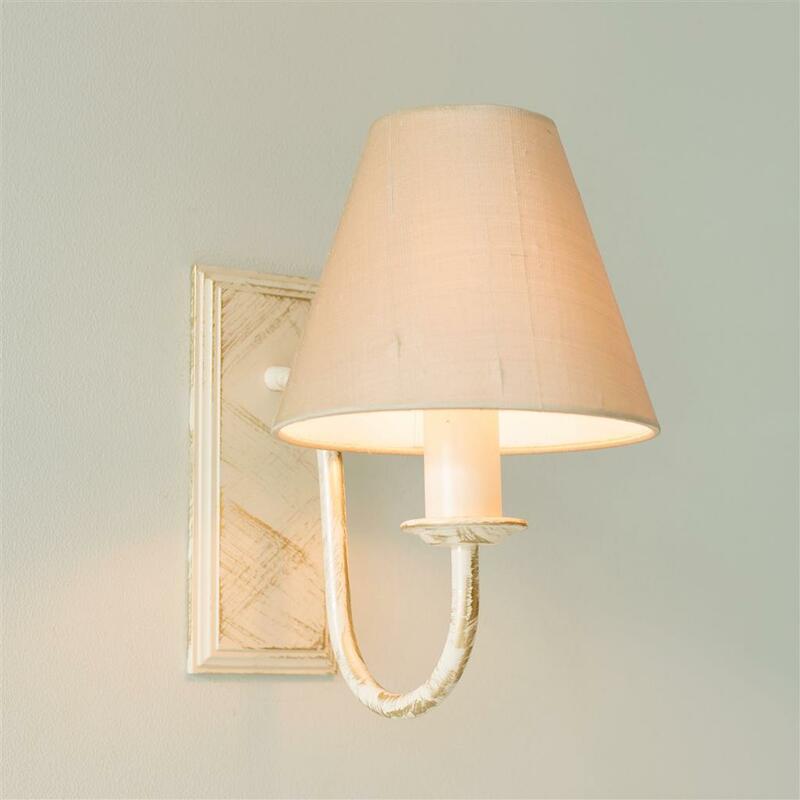 Hand crafted from solid, high quality steel and finished in Old Ivory, it has been designed with a low slung curved arm, dainty drip tray and generously proportioned backplate that won’t take up too much space on your wall, but still shows off the quality of its styling. 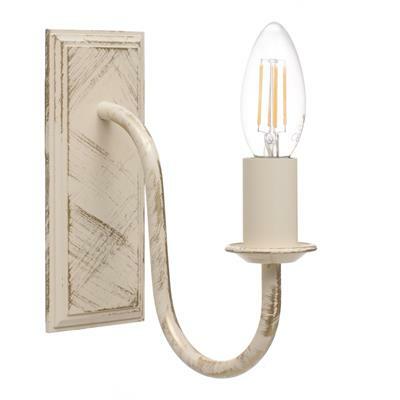 Jim Lawrence has worked hard over the past 20 years to build up an international reputation for classic, high quality lighting and we feel our Single Gosford Wall Light really encapsulates the company’s passion for elegant, period look wall lights. All of our lights are made using traditional metal working techniques and are hand finished to the very highest standards here at our Suffolk workshop. 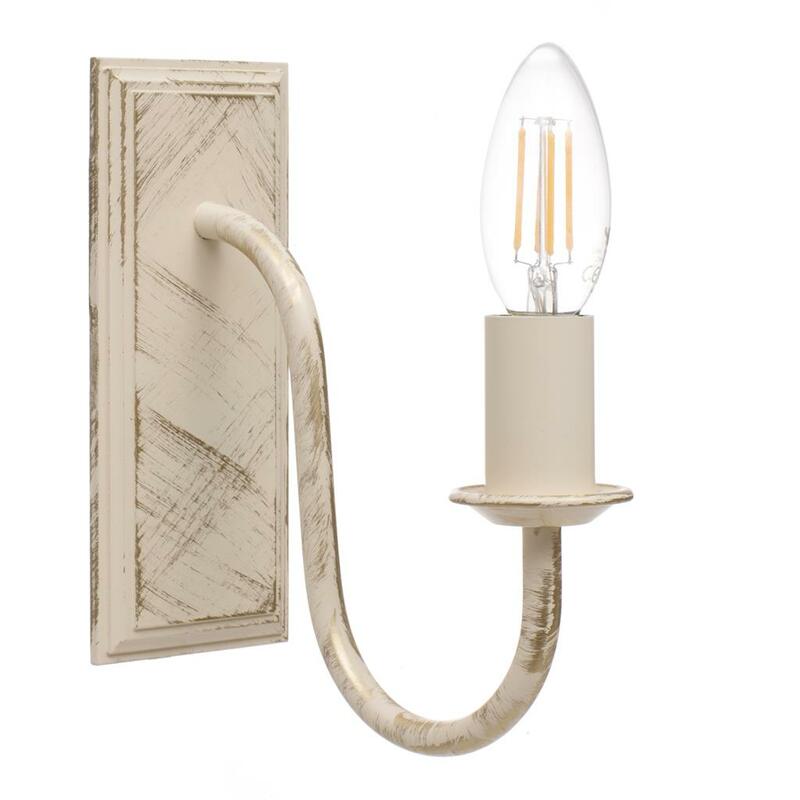 The details of the Single Gosford Wall Light's design highlights the skill of our metal workers and their ability to made products that suit both contemporary and period properties. 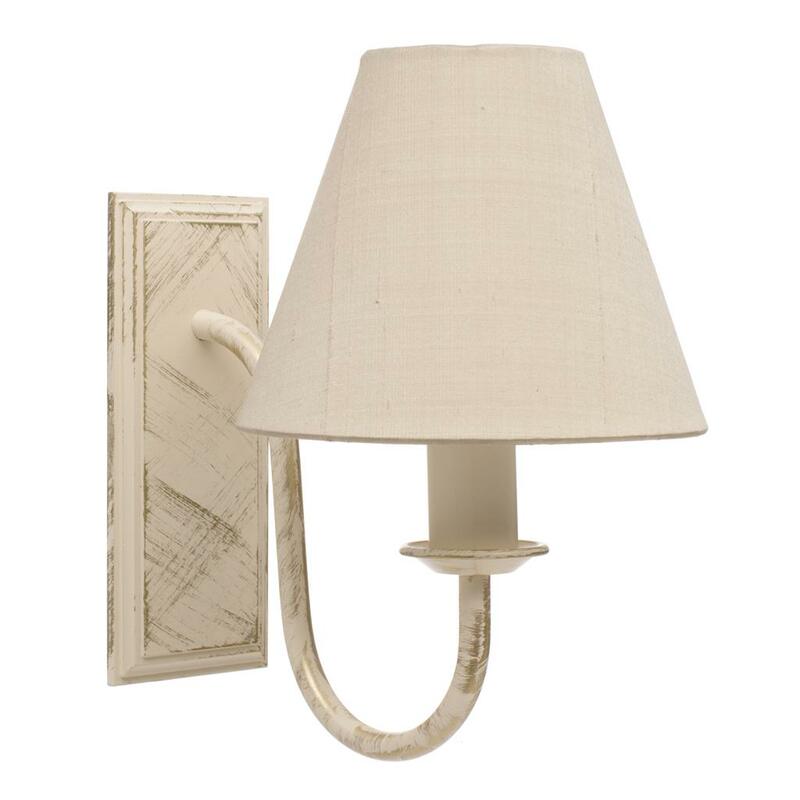 Shown here in our lovely Old Ivory, the finish is created by overlaying the metal with our deep gold paint and an ivory top coat that is carefully distressed to reveal the gold underneath. The powder coating process insures the finish is smooth and durable and gives it a soft, vintage look that particuarly suits a country cottage setting. To discover more about our finishes, check out our product finish pages. Kindly note, the Single Gosford Wall Light is not supplied with shades, but we recommend you explore our huge collection of handmade candle shades to find your perfect match. It also comes as a double version for an equally elegant alternative. 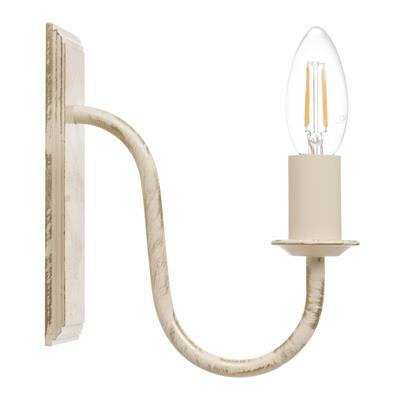 The Single Gosford Wall light takes a small bayonet bulb (SBC, B15) that is sold separately. We recommend our LED Clear Candle bulb as the perfect accompaniment to your light. 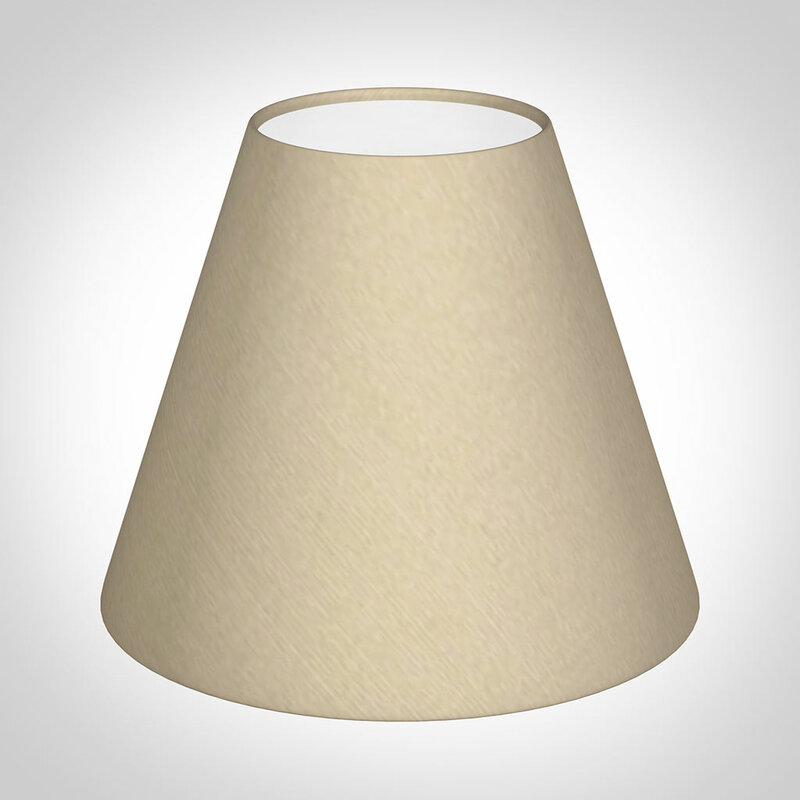 Incorporating the latest low energy LED technology, the bulb gives off a warm white light, lights to full strength immediately and is dimmable if used with a dimmer switch. 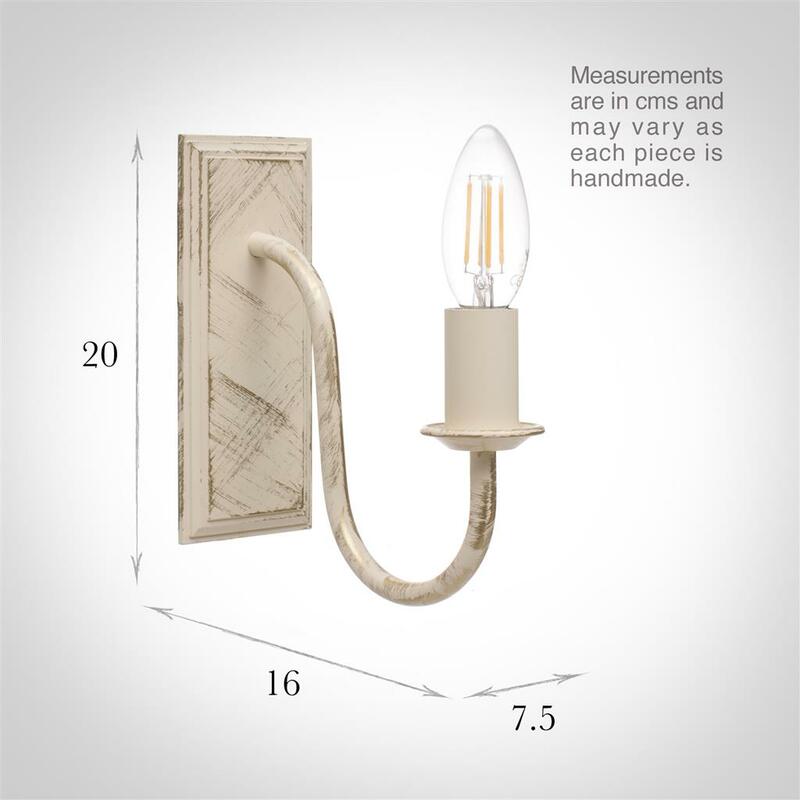 It has a lumens (brightness) of 400lm (equivalent to a traditional 40W bulb).